Perfect! Been thinking about getting a guide to keep around for house guests. Congrats! Now all visitors to Boston have to do is come to drinkboston.com, click on the “Best Bars” link at the top, and plan their trip! Well done! Next up, the NFT Guide? I can only hope, Saucy! Thanks, y’all. That’s really cool Lauren, congratulations. Congrats on the write-up. 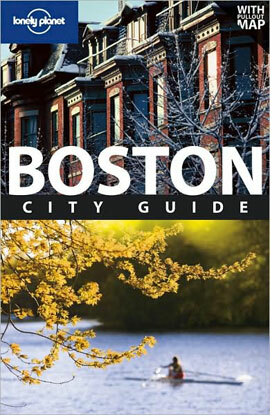 A travel guide for the home town I’ll have to pick up. Congrats: well deserved! Lonely Planet has always been my favorite of the big-name tourist books, the best at guiding travelers off the beaten path, with the best historical/cultural tutorials.